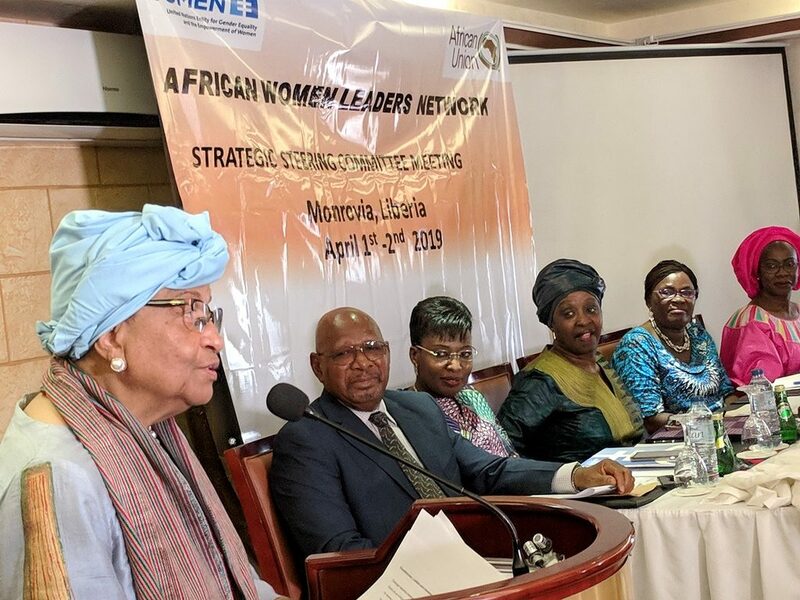 Monrovia – Women from various walks of life on the African continent have gathered in Monrovia to dialogue on their inclusion in decision making processes, upholding gender equality and to launch the Liberia Women Leadership Network (LWLN). Organized by UN Women Office in Liberia, the program commenced on Monday, April 1, also having the intent for women leaders to lend their voices to critical issues in Liberia and mentor young women interested in leadership. Launching the forum, former President Ellen Johnson Sirleaf, who served as patron, said 2020 will be the 25th-year anniversary since the Beijing Conference on Women, and 20 years since the adaption of the UN Security Council Resolution 1325, yet women have not gotten the priority. And all of the major agendas cannot be accomplished until women have a part of the leadership to implement them. “Change requires personal commitment and dedication to a common agenda. All of us in this room are called upon to renew our commitments to work together to advance an inclusive trans formative agenda for our continent, one that will impact the lives of women and youth of our communities,” said former President Sirleaf. “You cannot take leadership until you are ready to work for leadership; you cannot unless you are willing to stand up. There are women in this room, who still have fears to run for office. Your faith has to overcome your fears. You have to run for something. You have to stand up; step up. Take charge; be different; be committed and claim it. If you want leadership, you have to work for it; you have to claim it; you have to be it and you have to do it,” she stressed. Madam Sirleaf, who from the moment she mounted the podium, completely seized her audience with her strong motivational words, had women shouting, and clapping, while urging her with words such as; “You go, girl; right on”; as a way for her to speak on. Being fully energized, the former Liberian President spoke about how Africa has been talking a lot about democracy and that on the continent there are 30 “democratic nations” in Africa, among which only Mauritius and Botswana are truly free when it comes to democracy and upholding its tenets, according to her. 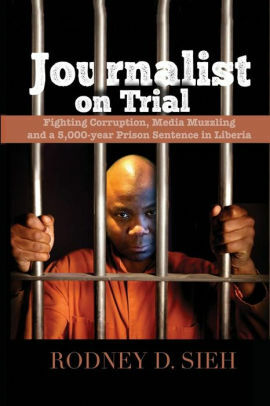 “What does it take to be free? It takes the building of institutions that go beyond personalities. It takes a parliament that you cannot push to put national interests above self. It takes a judiciary that is committed to the rule of law and it takes women to be recognized to take their place in society. We challenge us all today to do what we can for our democracies to have those institutions that can stand the test beyond and above anyone personality,” Madam Sirleaf emphasized. 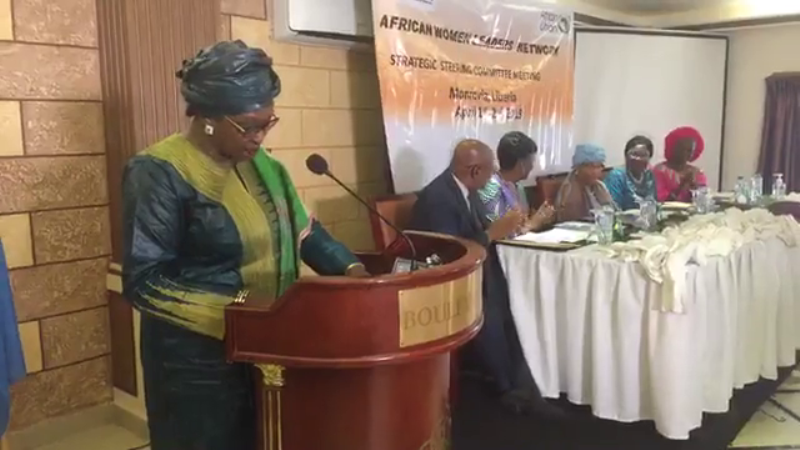 “I count on all of you, members of the Stirring Committee, members of the local council that we do what we can to finalize the road map, the strategic role that will enable African Women Leadership plays the role that it is called upon to play in promoting women’s leadership,” Madam Sirleaf concluded. Also speaking was the Acting Minister of Gender, Children and Social Protection, Parleh Harris. The Acting Gender Minister stated that the women gathering further demonstrated the commitment and dedication of African Women Leaders and the African Union (AU) in their collective strive to advance women’s leadership, gender equality and preserved human dignity for all. 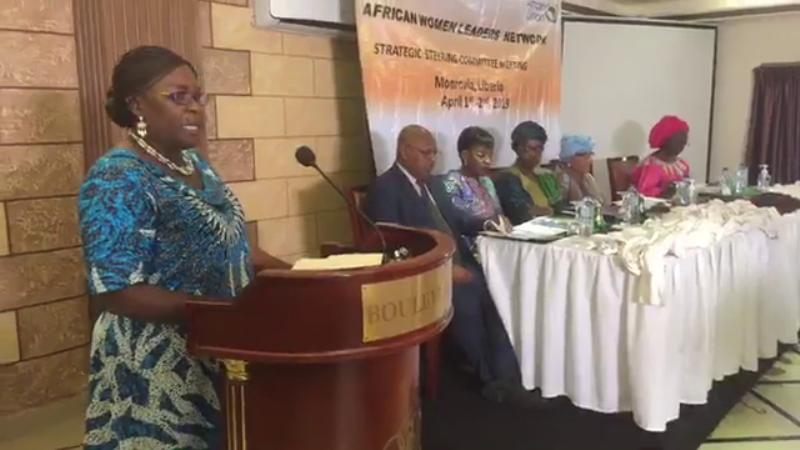 Also speaking, Madam Marie Goreth Nizigama, UN Women Representative to Liberia, stated how glad she was to participate in the first African Women Leaders Network, which states forward their mandate. “I want to also commend the organizers of this meeting and the members of the African Women Leaders Network for choosing Monrovia as the venue.” According to her, this is a very good sign and motivation for Liberian women. Madam Goreth Nizigama reminded her audience of Liberia’s historical and significant place in the areas of women’s leadership both on the global stage and the continent. Giving the introductory remarks of the meeting, the AU Special Envoy on Women Peace and Security, Ms. Benita Diop, said though the Africa Women Leaders Network (AWLN) is still young, it has made strives which augur well for the AU and its member states. Ms. Diop listed some of the achievements made so far including the Joint Mission visiting places where there are unstable peace to access the nature, relevance and ability of the operation of member states and partners in addressing the needs of those communities. Also giving special remarks was the Special Representative of the AU Chairperson Ibrahim Kamara. Ambassador Kamara reassured the participants that going forward the AU will be gender-sensitive with seats in the parliament being 50-50. “If there is a male chair there will be a female deputy chair. That’s how far we’ve gone and we hope by 2030, there will be gender parity in all the positions in the AU Commission,” Mr. Kamara stated. He added that the AU hopes that ALWN Steering Committee meeting, which seeks to empower women and girls to become future leaders on the continent, will succeed. He stated that the AU Liaison Office and the UN Women Office in Liberia have been collaborating together with the Ministry of Gender, Children and Social Protection, to establish a local chapter of the African Women Leaders Network. He assured that the local chapter of the African Leaders Network will be launched within a month in Liberia. The meeting continues today, Tuesday, April 2, when it will end with participants strategizing ways forward to advance women participation in leadership.